I was immediately intrigued when I potted this well-marked Tortrix after trapping on the 26th. Having identified it as Cherry Bark Tortrix, it required two days` refrigeration before it calmed down enough for its portrait photo. 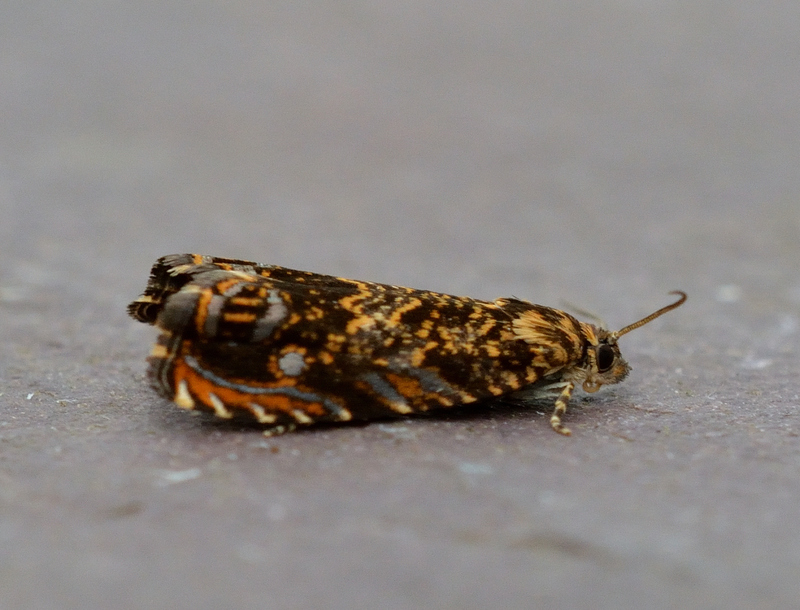 A stunning little moth Adam, and one that I have n`t yet seen! I know that Huw John has had it at nearby Pembrey Post Office in the last year or so. Well done again.